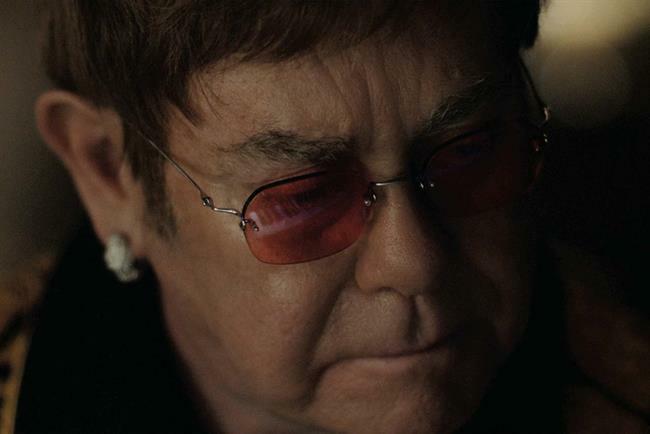 John Lewis' Christmas ad starring Elton John lacks relevance and credibility, consumers have reported in an annual survey of the year's biggest Christmas ads. John Lewis’ "The boy and the piano", portraying a sentimental John looking back at his life, lacks relevance (2.83 out of five), the Kantar Millward Brown survey reported, and performed relatively poorly for being persuasive (2.77) and providing new information (2.79). Kantar added that facial coding indicated that the spot failed to capture the feel-good factor of previous ads by the retailer. However, it scored fairly well in "enjoyment" (3.18) and "brand love" (3.03). Sainsbury’s "The big night" performed highly on "enjoyment" (3.38) and "brand love" (3.21), but consumers did not feel it was credible or have a strong enough link to what the brand does, Kantar reported. Meanwhile, Iceland's "Rang-tan" ad highlighting the dangers of palm oil farming was credited as the most powerful spot overall. It was closely followed by Amazon and Marks & Spencer in the research. The review of 22 brands ranked Iceland as best overall, with consumers scoring it top on 10 out of 12 factors, including "enjoyment" (4.04 out of five), "made me love brand" (3.69), and "persuasion" (3.83). Iceland’s film, an altered version of an existing Greenpeace animation created by Mother, has been viewed more than 65 million times across social media and Iceland’s owned channels. "The retailer has used Christmas to communicate a powerful message, wrapped up in a story that’s beautifully told," a Kantar spokesman said. "The effectiveness of the ad… shows it’s possible to make a huge impact without spending on a TV campaign, if you have an emotionally compelling story that creates ‘buzz’ in the media." Amazon’s "Can you feel it" was a very close second. The ad showed the return of the retail behemoth’s singing boxes and was particularly strong on branding (4.27) and relevant information (3.54). M&S Food’s "Discover your Christmas favourite" also scored highly across all measures, while Aldi’s "Kevin the carrot and the wicked parsnip" scored second-highest overall in "enjoyment" (3.49) and also performed well in relevancy (3.34) and persuasiveness (3.27). Graham Page, managing director of offer and innovation at Kantar Millward Brown, added: "This year, the best-received ads are those consumers feel capture what Christmas should be about, which for many is simply families and friends coming together and having a good time. "These depict realistic, straightforward scenarios and focus on giving gifts that have meaning, rather than costing a lot. This is partly driven by the tough times we’re in and the increased awareness of the need to live more sustainably. "The bigger, more cinematic ads offer escapism, but may have seemed out of touch. Ads need to tap into the cultural and social reality." The 12 factors measured were: branding; involvement; enjoyment; made me love brand; sets the trends; persuasion; new information; different information; relevant information; believable information; different from others; and delivers main things I need. Eleven of them are scored on a scale of one to five, while "involvement" is scored on a scale of one to 10.